St. Paul’s Anglican Church is a beautiful building of great historical interest. A well-known landmark, it is situated at the busy junction of Philellinon Street and Queen Amalias Avenue, opposite the National Gardens. It was built in an early nineteenth-century Gothic style and consecrated on Palm Sunday, 1843. St. Paul’s is one of only a few public buildings in Athens built immediately after the Greek War of Independence. It is a listed building belonging to the same classification as the “Athens Trilogy” comprising the Academy, University and National Library buildings on Panepistimiou Street. Within it are memorials to people who played roles of significance in contemporary Greek history, including Frank Abney Hastings, Sir Richard Church and the Second Earl Jellicoe, as well as the earliest known British monument in Athens: the headstone of a certain George Stoakes from Limehouse in London, who died on 6th August 1685. Also, within St. Paul’s is probably the oldest working pipe organ in the whole of the Balkans. It was erected to mark the Diamond Jubilee of Queen Victoria’s reign in 1901. Although small, it has a very fine tone and is in regular use for services and concerts. Annually, it has to be overhauled by an organ builder brought over from Britain, so that the care of the organ is an ongoing expense.  There is a general assumption that the Anglican chaplaincies and buildings in Europe receive financial support from the Church of England, the British Government or other outside sources. This is not the case; each congregation must be financially self–supporting. As far as our chaplaincy is concerned, not only must it finance the ministry it exercises, but it also has to raise funds for the maintenance and enhancement of the fabric and content of St. Paul’s. Our regular worshippers find it difficult to cover the financing of the maintenance of the building and the organ, on top of what they contribute towards the ministry emanating out of St. Paul’s. This is where the ‘Friends of St Paul’s’ come in. The Friends of St. Paul’s are a group of people who are interested in contributing financially for the upkeep of this unique edifice and its content. By so doing, they help maintain for posterity a building and its content which are an important witness to the presence of the international English-speaking world in Greece and what that community has contributed to Greece during and since the Greek War of Independence in 1821-33. In return, we send them a regular newsletter featuring something of interest regarding St. Paul’s, as well as details about the social and cultural events of the Chaplaincy. We also hope to organise a yearly event for the Friends and benefactors of St. Paul’s.